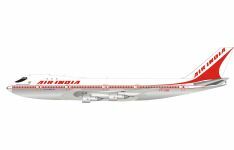 Retro Models offers collectors a vast selection of releases and aircraft types from the ‘retro’ years of aviation through to modern jetliners of today. Their 1/200 scale range features scaled realistic landing gear with rolling rubber tires, communication antennas and/or SATCOM pods, and selected models also come complete with display stands for optimized presentation. With Australia’s largest range of diecast scaled aircraft models, Collectable Aircraft Wings Australia is your number one supplier of Retro Models. Offering an industry leading pre-order and ordering system we allow our customers to order their favourite Retro Models in just a few easy clicks! 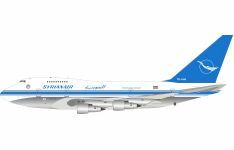 Product Description: Airline: Air India Aircraft Type: Boeing B747-200 Registratio..
** PRE-ORDER - ETA ~ MAY / JUNE 2017 ** Product Description: Airline: Syrianair Aircraf.. 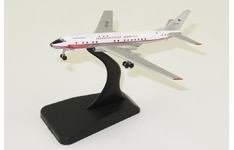 Product Description: Airline: CSA Ceskoslovenske Aerolinie Aircraft Type: Tupolev Tu-..